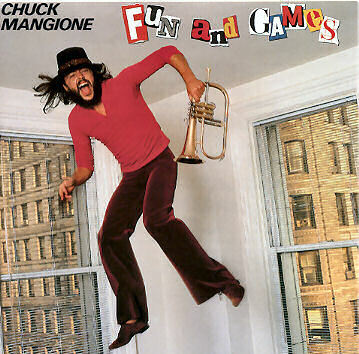 Armed with just his "Feels So Good" quintet and occasionally a couple of brass players, Mangione's more grandiose ambitions are pretty much behind him on his final A&M release. The emphasis is almost entirely on spinning pretty tunes for his new mass audience without alienating or challenging it much. Not that this collection is completely soporific or lacking the jazz touch; "Pina Colada" revives things with some uptempo flights for Mangione's flugelhorn and Chris Vadala's tenor, and the title cut is an amiably jumping, if repetitive funk workout for the quintet. The major push, however, went to "Give It All You Got" -- another upbeat, optimistic, good-times motivating tool, heard extensively at the 1980 Winter Olympics -- and Chuck gives it to us again at a listless tempo with the title, "Give It All You Got, But Slowly."